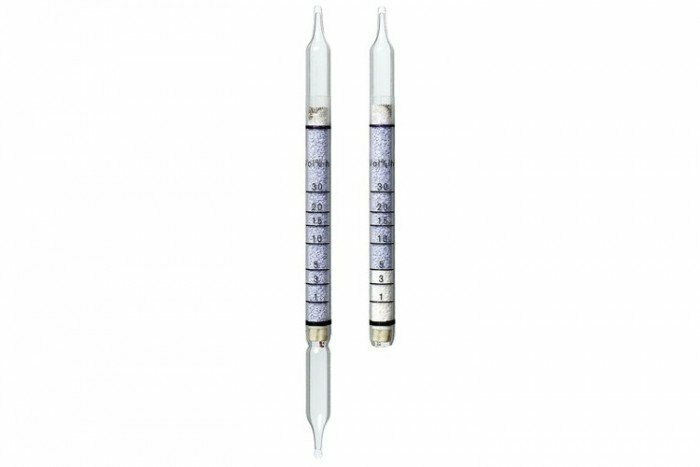 These short-term gas detection tubes from Draeger Safety are used for the measurement of Toluene Diisocyanate and have a measurement range of 0.02 to 0.2 ppm. Other isocyanates are not indicated. Before carrying out the measurement the lower reagent ampoule must be broken and the liquid transferred to the indication layer, so that it changes color to yellow. Next, the upper reagent ampoule must be broken and the liquid transferred to the indication layer, so that it returns to a white color. After performing 25 pump strokes wait 15 minutes before evaluating the indication.